Square style with distinctive glitter inserts on the frame front in the same shade as the oversized free lenses. Delicate pale gold-tone bridge and temples. 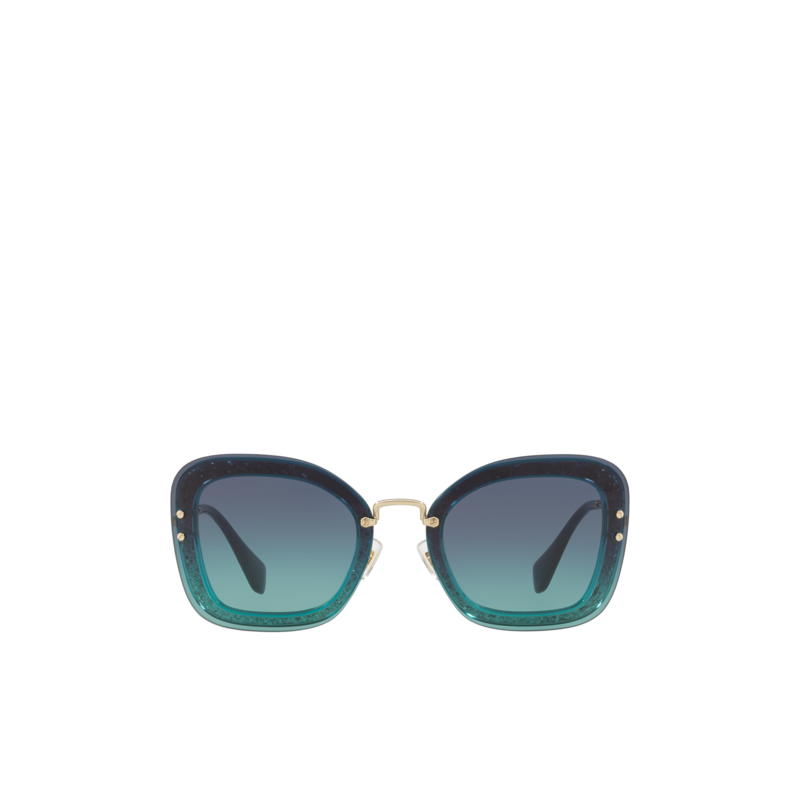 Miu Miu logo engraved on the temples with colored acetate temple tips. Adjustable nose pads make this style suitable for any fit.